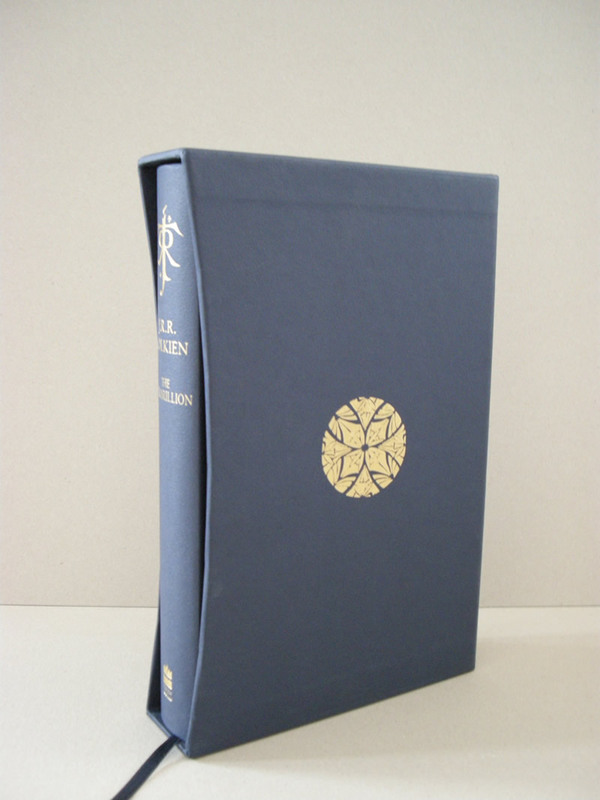 Quarter bound in imperial blue, stamped in gold foil on grey boards, and housed in a matching slipcase. 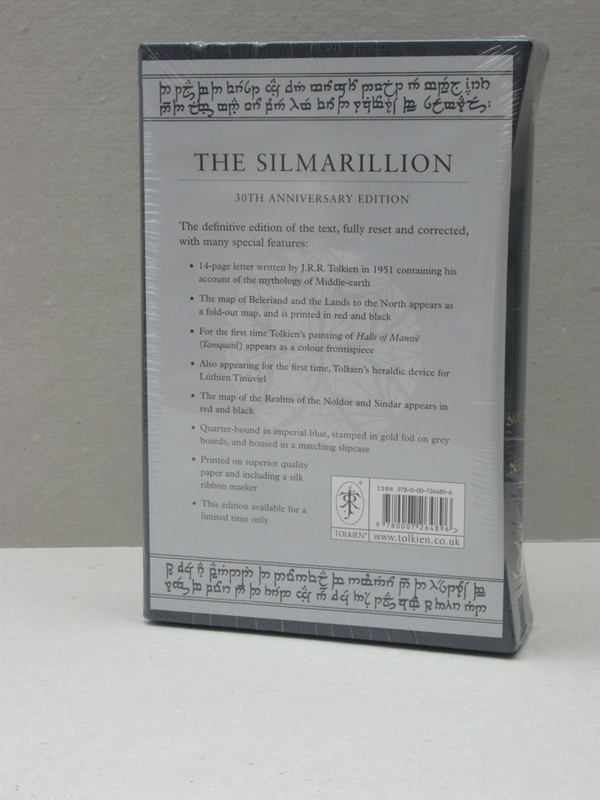 This new 30th Anniversary Edition of 'The Silmarillion' contains the definitive edition of the text, fully reset and corrected, with many special features: a 14 page letter written by J.R.R. Tolkien in 1951, containing his account of the mythology of Middle-earth. The map of Beleriand and the Lands to the North appears as a fold-out map, and is printed in black and red. Contains the color frontispiece the 'Halls of Manwe' or Taniquetil, appearing for the first time. 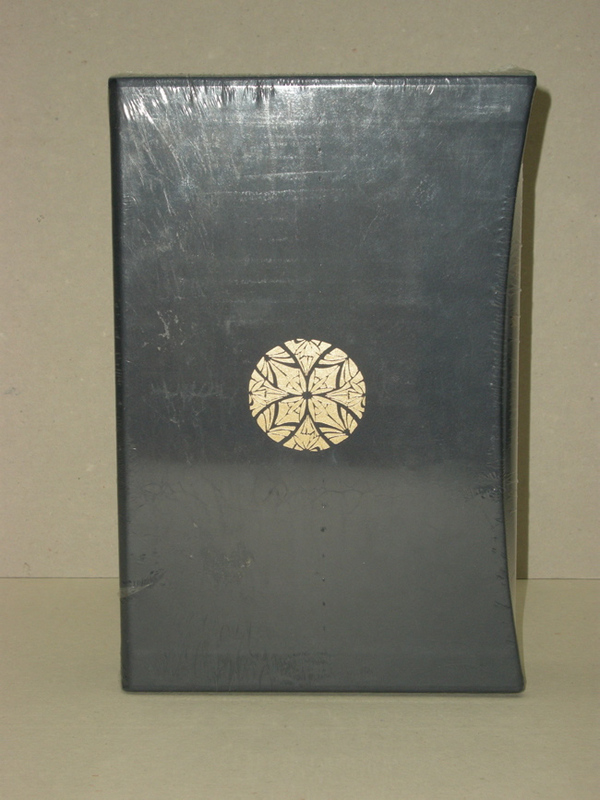 Also contains Tolkien's heraldic device for Luthien Tinuviel. Map of the Realms of the Noldor and Sindar appears in red and black. Printed on superior quality paper and includes a silk ribbon marker. 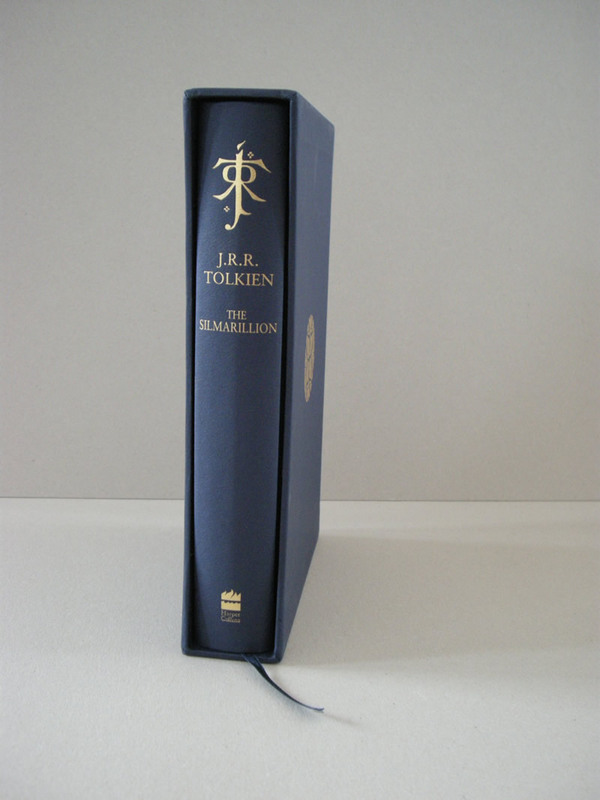 Matches the style and design of the Harper Collin's 50th Anniversary Lord of the Rings, the 2004 Deluxe Hobbit, the Deluxe Children of Hurin released in April 2007, the Deluxe Tales of the Perilous Realm from October 2008 and The Legend of Sigurd and Gudrun. Still sealed in the factory plastic wrap, the photos were taken of an unopened copy.